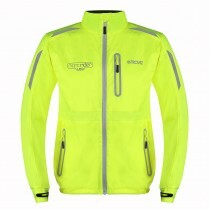 The Nightrider LED cycling jacket is a new addition to the Nightrider range and it is the first in the range to incorporate machine washable LED lights in to the jacket to aid with your visibility at night and early morning. 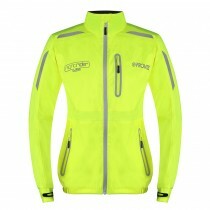 The jacket has three white LED lights on each forearm, and five red LED lights on the lower back. 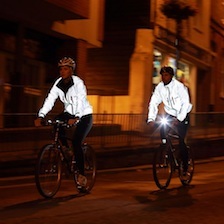 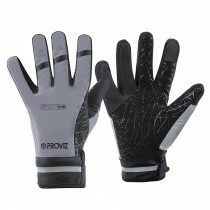 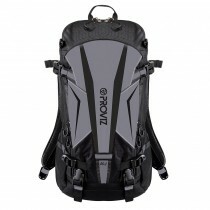 The lights are powered by a small USB rechargeable battery pack housed in a tailored inside pocket. 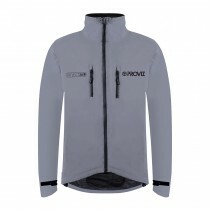 The battery pack is operated from the outside (so no need to unzip the jacket) with a touch of a button that allows you to choose from three different lighting modes; flash, fast flash and constant. 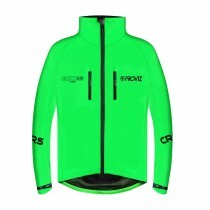 Aside from the lights, the jacket is designed to be have a more fitted cut than the original Nightrider jacket and it is manufactured from super comfortable polyester pongee material, which gives great breathability and waterproofing and a high quality finish. 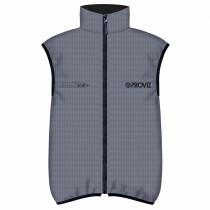 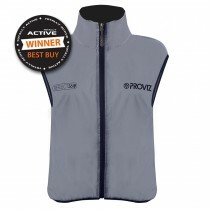 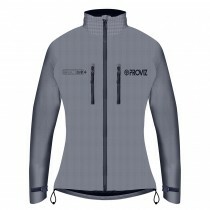 The jacket also has an inside soft-touch mesh for added comfort along with multiple pockets, under arm zipped & shoulder vents, adjustable cuffs, plenty of reflective panels and waterproof zips. 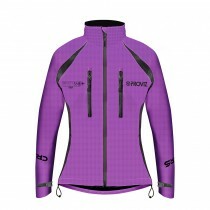 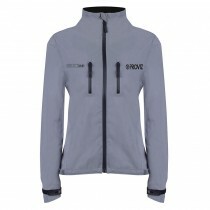 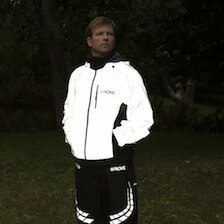 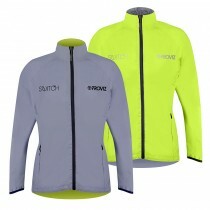 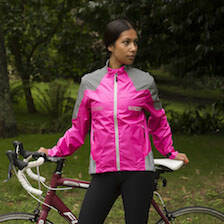 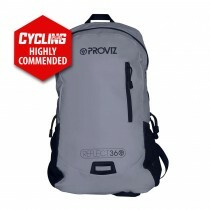 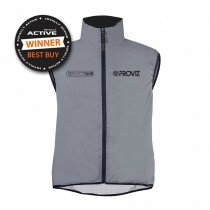 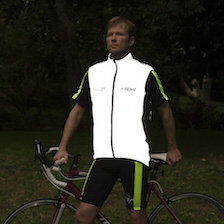 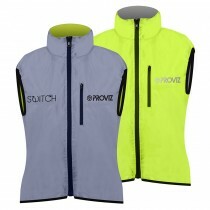 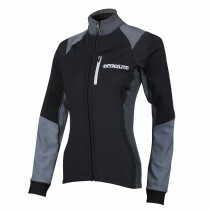 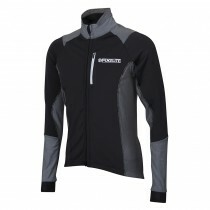 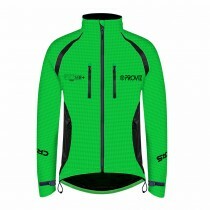 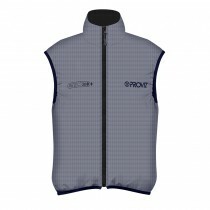 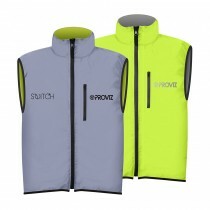 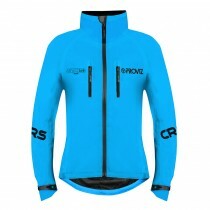 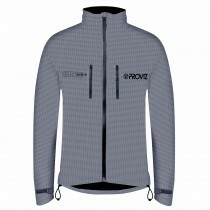 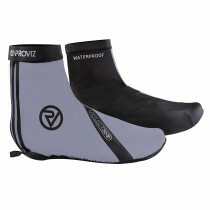 All of these features combine to give you a top quality cycling jacket.